What would you do with the British intelligence operatives who weren’t quite bad enough to sack, who didn’t get themselves killed, but who couldn’t be trusted with proper work, with state secrets? Welcome to Slough House, home of the Slow Horses: the almost-incompetent, the not-quite-good-enough, the politically incorrect out of favour has-beens of MI5. This is an inspired setting for a new espionage series, and author Mick Herron carries it off with a nudge and a wink to the genre grandmasters, while gleefully subverting and reinterpreting the standards of every spy novel. He makes the most of oodles of credible jargon and slang; look out for The Dogs, the counter-espionage internal affairs heavy mob. If things get heavy then call for The Achievers; the boys in black balaclavas who get things done at street levels. The world is split into working joes (operating agents with field experience) and suits (speaks for itself). The people with the right connections who make the right moves get on in the organisation. The no-hopers get put where they can do little harm; miserably plodding through pointless paperwork while praying for rehabilitation. Most Slow Horses quit or quietly fade away. But not all are entirely spent forces. 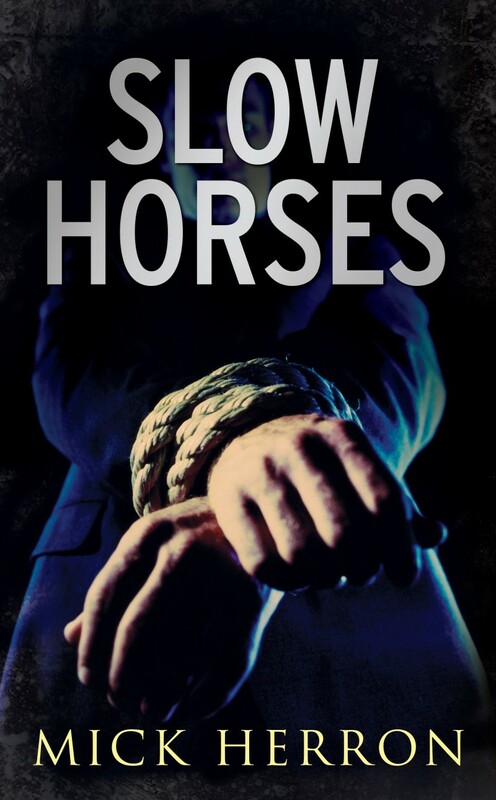 After several chapters of glorious scene setting, in which the author wittily bring a depth and texture to the Horses’ beige, banal and bitter realities, the plot breaks from a trot into a canter when a young Muslim man is snatched off the streets by far-right extremists. They threaten to decapitate him – and somehow the Horses end up being pivotal to his survival. What follows is a short but convoluted set of strategic manoeuvres; in-fighting conducted with minimal physical violence and maximum icy politeness. As in spy stories of old, most of the important conversations take place on the banks of the Thames and in run-down cafes, matters of national security discussed in oblique terms: lines of engagement drawn. Bluffs made. Deals done. Or not. The final quarter of Slow Horses actually gallops along, less an intellectual game of drones and more action-adventure. Three threads run in parallel, the narrative chopping back and forth to ramp up the tension and force the pace. It’s an effective device although a little at odds with the first half of the book which proceeds much more deliberately. All the artful description, pinpoint observation and honed dialogue is in the first half – the latter chapters feel much more like Fleming than Le Carre.